In a galore of reports on the State media, showering praises on President Paul Biya for his 35 years as President of Cameroon, the report of George Ewane, Ph.D., stood out, with the Unity Palace correspondent equating the president to Jesus Christ. In his report over Luncheon Date, George Ewane, Ph.D., made a startling comparison between the 35 years reigning and counting President, with the Biblical Jesus Christ of Nazareth, with the reporter, saying that the duo has almost everything in common. Inferring from the Biblical Jesus’ 33 years on earth, Ewane said Paul Biya in his 35 years in power also had disciples who will call him master in his presence, and behind the scenes, ‘iscarioted’ him. “In his 35 years of reign, Paul Biya has known and seen many Judases…They have betrayed him, the very people he eats and dines with, pray for his last supper.” Ewane declared. 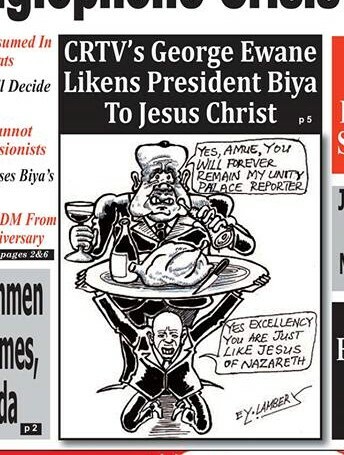 The report of George Ewane, is now making rounds on the social media, with many especially staunch Christians, wondering, how the reporter could equate Jesus, considered to incarnate God himself, with a President who orders, threatens and even drag religious leaders to court. 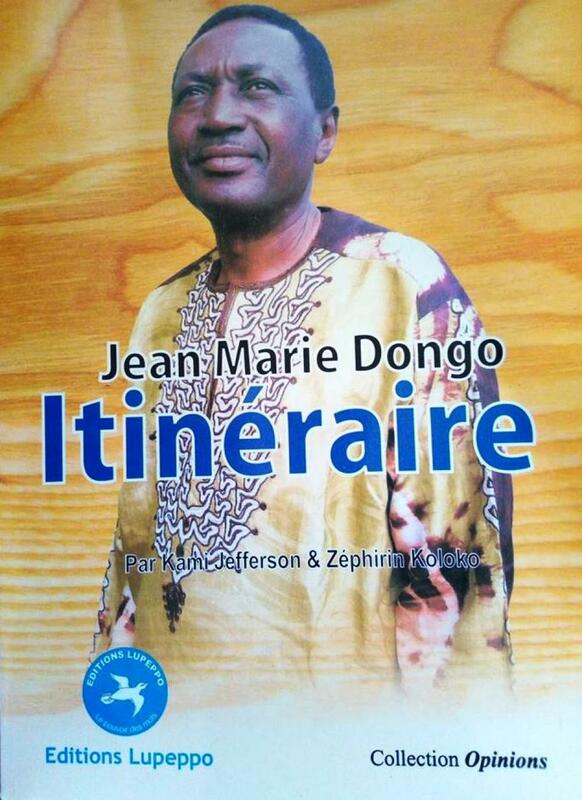 Ewane’s report, to many, almost surpassed praises from CPDM flunkeys, who in some occasions, had chanted religious praise songs, and in lines where God’s name is usually mentioned, the CPDM praise singers insert ‘papa Paul Biya’. 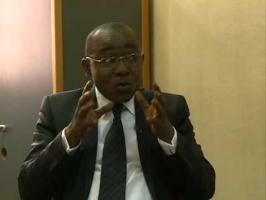 Cameroun : Drôle de pays! Presidentials 2018 Biya wins! Merit or a Gift from the Constitutional Council? Ambazonia war of independence; who is winning?